This chapter examines the organisation of hospital- and community-based care during the postnatal period. Studies that have examined the organisation of postnatal services across the UK are discussed, and the need for evidence of the benefit and effectiveness of the current organisation of care is emphasised throughout the chapter. 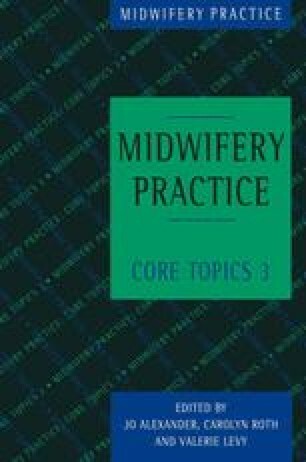 Related issues include the historical background of midwifery postnatal care, the duration of postnatal visits, the content of care, the role of other members of the primary health care team during the postnatal period and maternal morbidity. Studies of alternative models of postnatal organisation currently in progress are referred to at the end of the chapter. It is clear to us from the evidence of the professions that postnatal care, like other aspects of the maternity services, is poorly evaluated and researched, delivered in often inappropriate and fragmented ways and has a dissipated managerial focus which militates against efficient use of resources.